We’re moving. This will be the final post on the Channelopathist blog – we will change our platform this week and from Monday onwards, you will be redirected to our new blog. Let me tell you what is behind this move, and then let’s review our top ten posts of the last two years. Housekeeping notes. The blog runs on the WordPress platform, which comes in two different flavors – wordpress.com and wordpress.org. WordPress.com is a commercial provider, which allows you to run your blog for free, but is limited with respect to extensions and flexibility. As our blog has grown over the last two years, we decided to use wordpress.org, a free system that can be independently hosted, can be equipped with various extensions and features and is very flexible. In the beginning, the new blog will be a little rough around the edges as we are still trying to figure out what features to use – but eventually we will have more freedom to design the blog the way we want. You can already get a first glimpse of the new blog here. Stay updated. Speaking about rough edges – as of Monday, our email updates through WordPress.com will be discontinued. 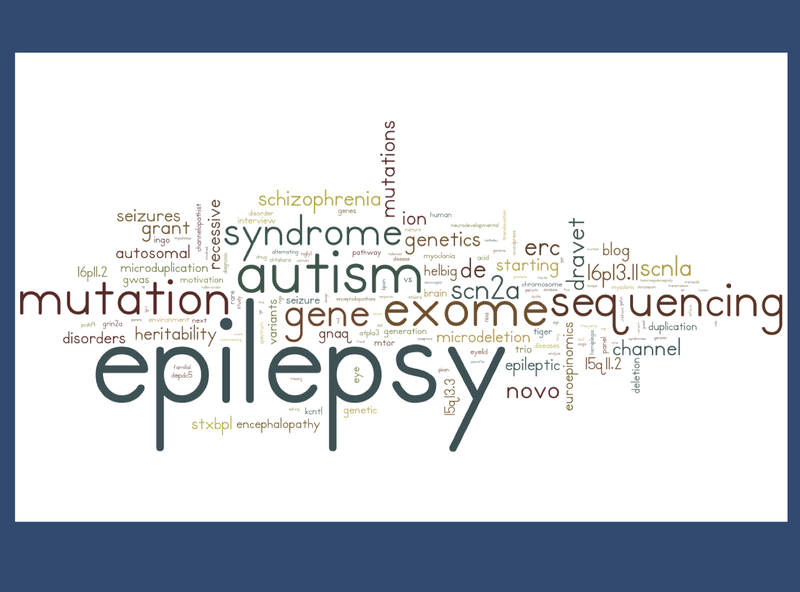 We will, however, continue our weekly email newsletter on epilepsy genetics. If you haven’t signed up yet, please do it here. ILAE GC. Our current move also marks the transition from EuroEPINOMICS to ILAE that we have already indicated in various earlier posts. As of next Monday, Beyond the Ion Channel will be the official blog of the ILAE Genetics Commission. Also, the blog won’t be called “The Channelopathist” anymore. We felt that this term is dated and no longer appropriate for the shifting scenery in epilepsy genetics (even though we keep finding ion channels). We’ll keep “Channelopathist” as the name of our email newsletter. Top ten. Without further ado, here are the top ten posts of the last two years. There are a few surprises in this list, and we have added a brief comment to each post. This post on SCN1A in 2014 was well received. It was the most frequently read post ever and was read by more people in single day than the entire blog in a month. It told us the valuable lesson that our way of presenting information on epilepsy and genes is scalable, at least by a factor of 10. The identification of de novo mutations has become one of the most promising strategies in gene identification for neurodevelopmental disorders including autism, intellectual disability, schizophrenia, and epilepsy. This post gives you an introduction how this works. We published a follow-up comment on this post that described a study about SCN9A as a modifier gene for Dravet Syndrome. There is a high demand for information about modifier genes in genetic epilepsies, but we might not be quite there yet. Surprisingly, our #4 post was not an epilepsy post, but a review of a study on neurodegeneration with brain iron accumulation (NBIA), a group of neurodegenerative disorders. This is a potent reminder that there is a demand for information on rare diseases through blogs. We published this post in parallel with the publication of the GRIN2A triplet in Nature Genetics. GRIN2A is the unexpected gene for up to 30% of patients with epilepsy-aphasia syndrome. The SCN2A gene was rediscovered in the last two years, first as a gene for autism, then as a major gene for epileptic encephalopathies. This is our story about the changing picture of a gene that we had almost forgotten about. We published the phenotypes of a large GEFS+ family from the Israel Epilepsy Family Project last year and wrote this post about it. It was our first example of a blog post that is more popular than the actual publication. Basically, this is a story of how little we understand about the heterogeneity of SCN1A phenotypes. Information on gene panels has always been in high demand – this technology has basically revolutionized genetic diagnostics. This is our post on the publication by Carvill and collaborators who identified CHD2 and SYNGAP1 as genes for epileptic encephalopathies. Pretty much out of nowhere, STXBP1 has emerged as one of the major genes for various forms of epileptic encephalopathies. This is our post on two planets, surgery versus genetics, and the bubble bath analogy. The field of epilepsy genetics can be divided into two distinct periods: “before” and “after” the Epi4K publication on de novo mutations in classical epileptic encephalopathies. This is the post on the publication that firmly established de novo mutations as a leading cause in epileptic encephalopathies, but also highlighted the inherent difficulties due to genomic noise. This entry was posted in 2014, ILAE Genetics Commission, Opinion and tagged Channelopathist, Dravet Syndrome, email newsletter, Hallervorden-Spatz disease, independent hosting, modifier genes, neuroblogging, SCN1A, SCN9A, STXBP1 by Ingo Helbig. Bookmark the permalink.